Paper is the new gold. Or, at least, it’s much easier to find and to work with. Needless to say, it is also lot of fun, especially because paper enables to play with colors, textures and shapes. 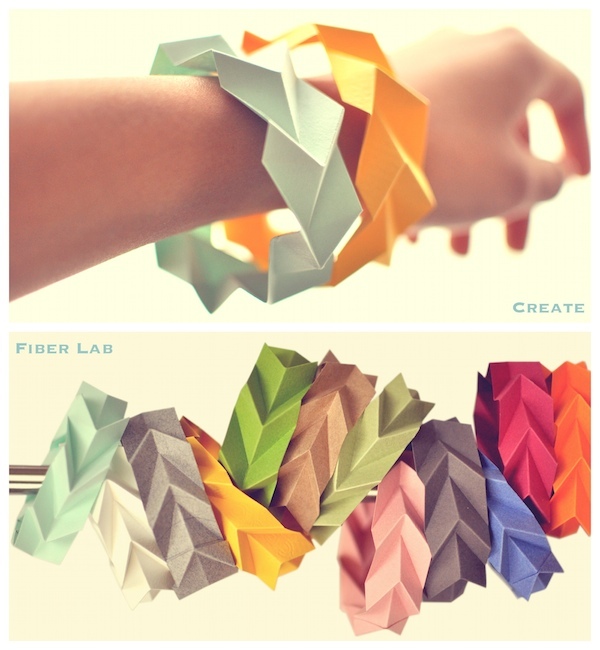 Justina Yang from Where Techy Meets Pretty + Etc presents us with this amazing tutorial to create some lovely bracelets. She really makes it look easy and I’m definitely going to give it a try. Justina suggests that they might also be used as decorations. I can picture them hanging to a chain to make a light and colorful collar, assembled into a pair of earrings, hanging on a wall as a random but beautiful decoration…. The sky’s the limit!